Seems as though Michael Strahan has the last laugh on Kelly Ripa. It was no secret that Michael Strahan’s final days on Live With Kelly and Michael were some uncomfortable ones. The former football star looked squeamish while the petit, but boisterous Kelly Ripa ripped a few on air jokes at the divorcé’s expense. The uncomfortable moments made for some great TV! The obvious, but silent feud dominated the talk show circuit after Ripa was the last one to find out that her co-star was leaving the show. Team Michael fans chalked Ripa’s behavior up to that of spoiled diva while Team Ripa fans sided with the daytime host and stories that she was blindsided by the news. Kelly Ripa made it clear that she wasn’t happy when she pulled a no show one day on set, missing an airing of her own daily talk show. Ripa reportedly called in the night before, telling ABC executives that she wouldn’t be in. Now, Michael Strahan is speaking out about life after all the Live drama while Ripa continues to struggle to fill his role with plenty of guest stars, but no permanent takers. 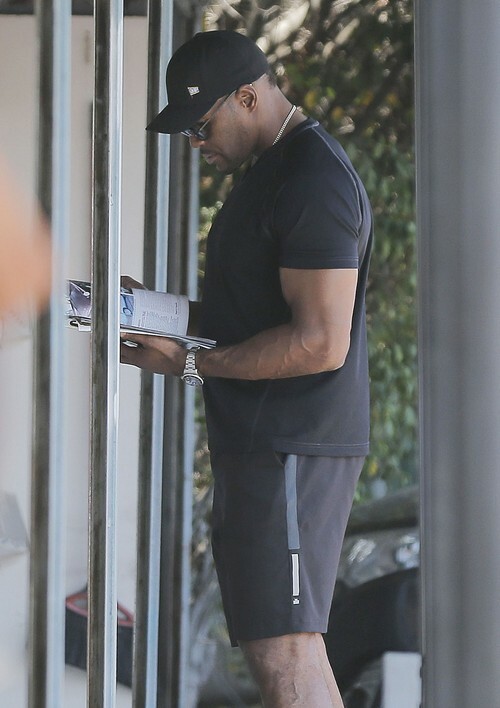 Michael Strahan is definitely taking aim at his former co-host, Kelly Ripa, who he seems to be more than happy to be away from following his long stint on the daytime show. When asked about watching the Live With Kelly show since his departure and Kelly Ripa’s painful search for a co-host, Michael Strahan shared that he hasn’t been keeping up with the show’s status as he is too busy with his other commitments and his work on the daytime show Good Morning America. Since Strahan’s departure from the show, Kelly Ripa has welcomed guest stars Anderson Cooper, Fred Savage, Jimmy Kimmel, Chef Gordon Ramsay, Jussie Smollet from Empire, Andy Samberg and more. Few seem capable of coming on as a full-time co-host, lacking personality or chemistry with Ripa. Ripa is clearly not over Michael Strahan’s betrayal while Strahan looks to be getting the last laugh on Kelly Ripa. The talk show host is sure to lash out after hearing what Strahan has to say! Michael Strahan Replaces Josh Elliott on GMA – Good Morning America’s Savior?